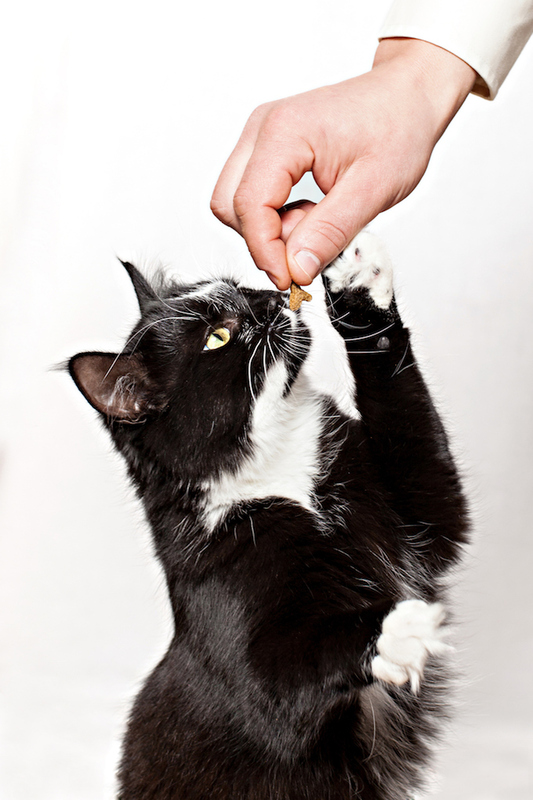 What’s The Best Way To Sensibly Reward Your Cat With Cat Treats? Few things are as guaranteed to get your cat’s attention as the shaking of the treat bag. 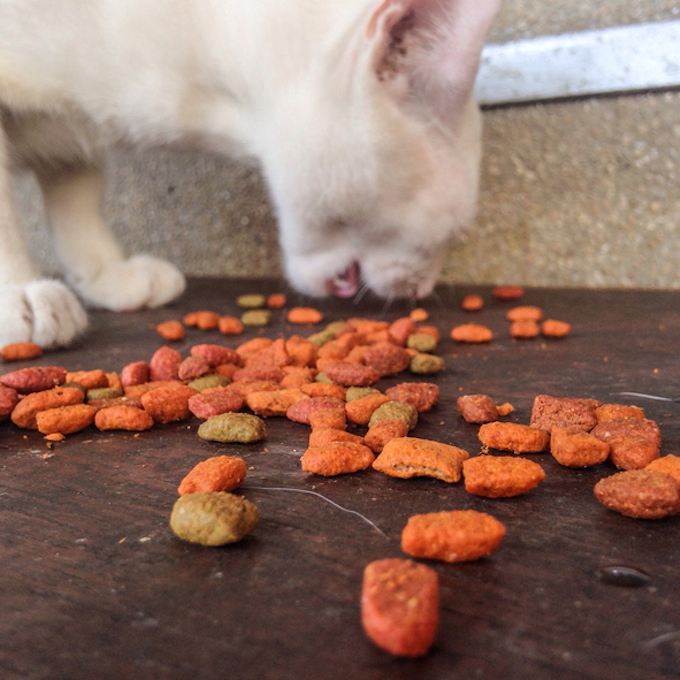 But while it’s obvious that your feline is all about snacking on her treats of choice, what’s the most responsible way to work cats treats into the daily routine? 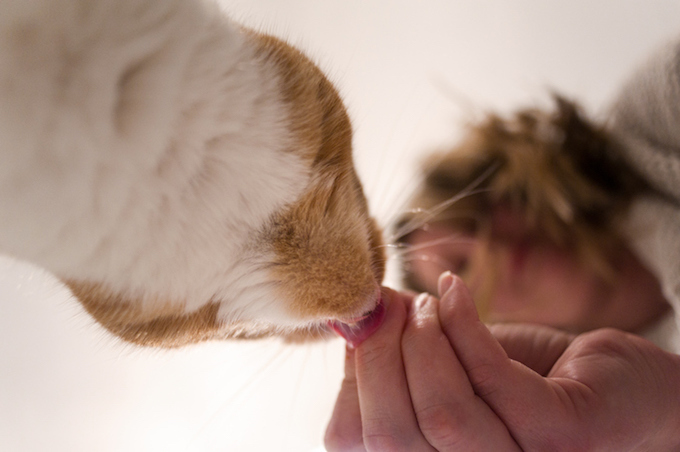 And how many treats should you really be feeding your cat? As a starting point for feeding guidelines, I’d suggest scaling down the advice on the package of cat treats. The brand I use for my own cat recommends feeding 10-12 cat treats per day — but at two calories per treat, that could be nearly 20% of an indoor cat’s recommended calories per day. None of us, feline or human, should probably be consuming treats and sweets as a fifth of our daily intake. Instead, I settle on around four to five treats. 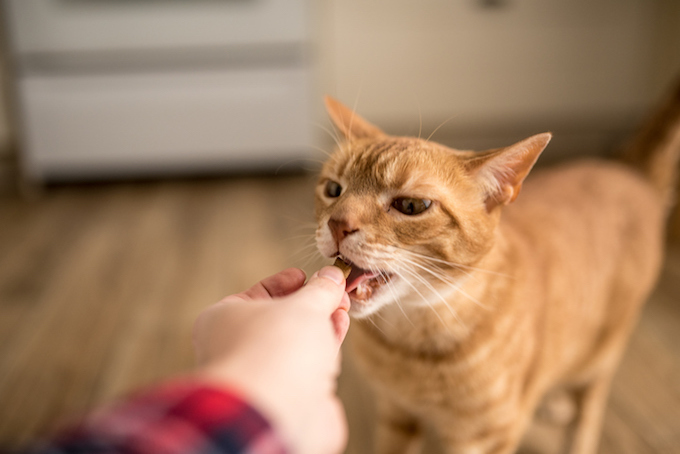 It’s cute to have a cat eat treats out of your hand — and the tactic can certainly help with socializing skittish new felines — but I like to think that there should be some work versus reward basis going on when it comes to earning cat treats. To that end, I like to alternate between throwing individual treats across the apartment floor for the cat to scoot after, and placing in them in one of her treat toys to exercise her little cat brain. Another way to help stimulate your cat’s natural hunting and exploring instincts is to place individual treats on top of chairs or furniture. This way, the cat gets a little exercise bump and stimulates her mental faculties before receiving the treat pay off. That’s smart snacking.